The province of Huelva stands out from other provinces, both because of its landscape and because of its cuisine. The quality of its produce does not leave any doubt and convincing proof of this are its strawberries. In fact, strawberries are not originally from the Huelva countryside, but the microclimate of this province has enabled these red fruits to adapt perfectly to the Andalusian ground. The season of this fruit begins in early January and lasts until mid-June, with the months of March and April being the most productive. For a strawberry to be perfect, it must convince the eyes and the mouth, characterised by an intense reddish colour and a powerful sweetness. 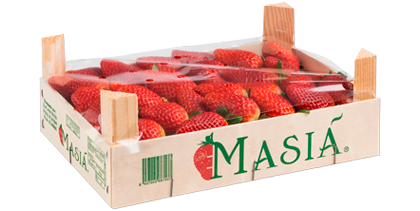 Along these lines, it is important to show that Masiá Ciscar is committed to a production free of chemical products. Therefore, we advocate the total elimination of synthetic materials during harvest, favouring a natural crop. The production process of the Huelva strawberry begins with sowing in October, after the substrate having been previously prepared so that the plant grows perfectly. Thanks to a field that we use for the testing and the study of the varieties, they are of a high organoleptic quality. After having sown the plant, in the months of November and December, we proceed to install plastic to accelerate the process and thus, start working with the first strawberries at the beginning of the year. Once the strawberries are ready, they are collected for classification according to category. Later, they are transported to the warehouse and, then, they will be introduced to cold chambers, where they will be kept at the indicated temperature for proper maintenance. Due to thermal control, fungal activity is reduced, thus preventing fungi from reproducing and reducing the shelf life of the fruit. Once they have been cooled, they are packed and shipped to the produce chamber, where they will wait until the transporters pick them up to take them to their destinations. The Huelva strawberry is one of the best red fruits to improve our body. The habitual consumption of this fruit is very beneficial, since it increases defences, helping our body to avoid colds and the dreaded spring asthenia. In addition, it acts as purifier, so it improves digestion and makes us feel lighter after a heavy meal. All this is thanks to its high fibre content. 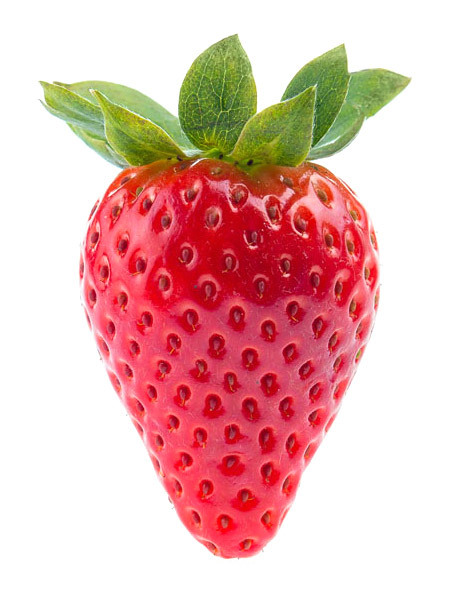 Another of the benefits of the Huelva strawberry is its ability to eliminate anaemia, as well as the help it provides to the liver and kidney systems. Another very important factor is that it helps to lose weight because 85% of its composition is water, equalling and sometimes exceeding watermelons. This factor has ensured that strawberries are one of the fruits that are most included in diets to lose weight. In addition, they are also highly recommended for pregnant women, given their high levels of folic acid. 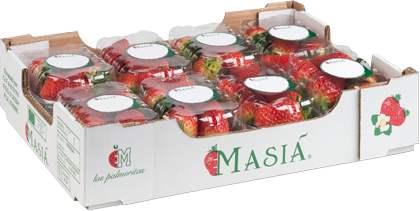 The Huelva strawberry is known for its very low sodium content and a large amount of potassium, calcium, arbutin and arginine. This gives it important diuretic properties, which are very useful for avoiding fluid retention. They also play a special role when it comes to remedying diseases, such as gout, hypertension or obesity. In the culinary field, strawberries can be used in jams, cakes, ice creams, salads, garnishes … Without doubt, this red fruit is a perfect food to introduce into the daily diet. However, desserts are the key dish in which to enjoy strawberries. For example, one of the most common ways to taste them is to add a few spoonfuls of sugar or honey and let them rest so they soak into the juice. You can also make crepes, puddings, mousses or muffins. Although here at Masiá Ciscar, we recommend eating them alone to appreciate all their flavour.